Mary Lynn Rajskub played CTU analyst Chloe O’Brian on 24. 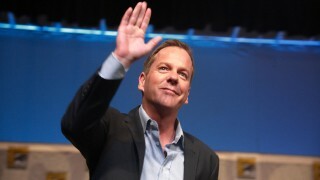 Former “24” leads Kiefer Sutherland and Mary Lynn Rajskub sent encouraging messages to the cast and crew of the new series ahead of the premiere tonight. 24: Legacy showrunners Manny Coto and Evan Katz revealed that they have plans for returning characters, possibly including Chloe O’Brian. Former 24 cast member Mary Lynn Rajskub says she’s just as excited and curious for 24: Legacy as the fans are. 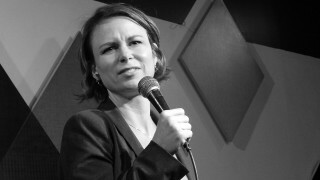 Mary Lynn Rajskub superfan Trevor Barnette details her live standup show at Caroline’s on Broadway in New York City. Mary Lynn Rajskub says that Chloe is in a very good position for any future 24 installments, and that the ending was changed a lot. 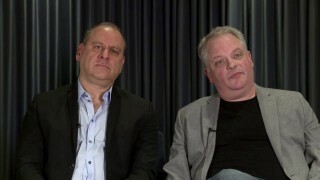 Spoiler-free video preview of 24: Live Another Day Episode 12 with writers Manny Coto and Evan Katz and star Mary Lynn Rajskub. Mary Lynn Rajskub seems optimistic about another season of 24 saying “to me, it’s more a matter of when” it will happen. Mary Lynn Rajskub discusses returning to 24 and its relationship with current government – drones and spying.